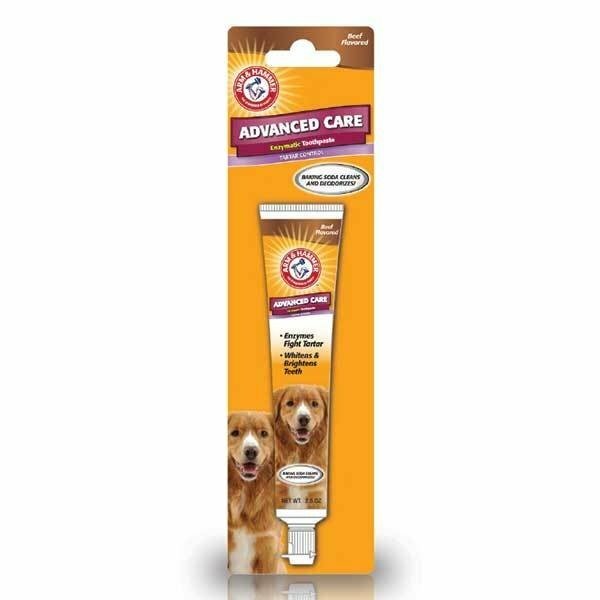 Fight tartar and brighten your dog’s teeth with this Arm & Hammer Toothpaste which is a yummy beef flavour that your dog will love. The enzymatic toothpaste neutralises odours, effectively controls tartar and delivers complete and thorough cleaning. Formulated with natural ingredients to help fight tartar, clean teeth and freshen breath with a lovely minty scent. The baking soda dissolves deep in the microscopic crevices on the tooth surface for maximum strength cleaning.